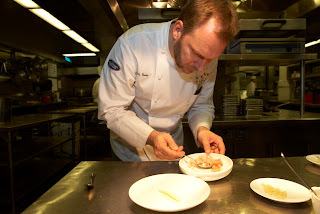 The French Culinary Institute is more than one of the world's finest cooking schools. It's also a launching pad. 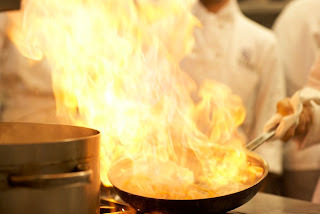 Thousands of stellar careers and countless culinary stars have taken off from our New York City location, powered by the incomparable training, credentials, connections, and career placement services of The FCI. But our stellar reputation has always been based upon a single factor: the performance and integrity of our alumni, whose professionalism and success are why many believe ours is the premier culinary school in the world. We're proud of all of our graduates, and we're pleased to highlight some of their recent accomplishments. After working in several famous kitchens in Washington, D.C., New Orleans, and New York City, Chef Meg Grace (Classic Culinary Arts ‘99) launched The Redhead, in Manhattan's East Village, with two partners and a day job. But what started as just a cocktail menu has grown into a buzz-worthy collection of Southern-influenced American classics, including fried chicken the infamously tough critic Frank Bruni called one of the best dishes of 2008, and "the best beer nut in America," according to Esquire magazine: bacon peanut brittle. After just a year, The Redhead is still red hot. But Meg hasn't stopped there. After a long-awaited gestation period, restaurateur Lesly Bernard’s Permanent Brunch has finally opened, with Ms. Grace as Consulting Chef. Also in the East Village, Permanent Brunch, is the city's only all-day brunch-only restaurant, featuring dishes like baked eggs with braised short ribs ragu and duck fat fingerling potatoes; butter-poached shrimp and grits with sweet corn, chanterelles, and tomato; and a bacon bar with five different varieties! Stop by for brunch, day or night, and see it for yourself. A year after opening the Carroll Gardens dumpling shop Eton, Eton Chan is bringing a second location to the Brooklyn neighborhood. His new space will focus on a variety of bubble teas and Hawaiian shaved ices offered year round, and his crave-worthy dumplings will be available frozen to take home. Pastries and cookies may also grace the menu in the future. This new, unexpectedly Italian restaurant is now open for business in Greenwich Village. Unlike the name might suggest, Chef Melissa's Organika cuisine is an articulate menu of Italian favorites using local, sustainable, and artisanal products, including locally-cured salamino, coppa, and soppressata; whole wheat lasagna with pesto, béchamel, zucchini, grape tomatoes, and eggplant; and rigatoni with grass-fed beef meatballs. Viva Italia! Notes on Cooking, a new cookbook by Classic Culinary Arts alum Lauren Braun Costello, is now available on Amazon and bookstores everywhere. In very succinct form, Notes on Cooking gives home cooks practical kitchen guidance without all the hyperbole. An easy, amusing read, the book brings confidence in simplicity to beginners still collecting their skills, but draws on more advanced knowledge to coach experienced cooks using recipes as guidelines, rather than gospel. Pick up your copy today. According to Tasting Table, that would be FCI grad Kee Ling Tong (Classic Pastry Arts '00) of Kee's Chocolates in Manhattan. Kee makes every truffle by hand using "a single electric burner and makeshift chocolate-tempering machine," instead of the expensive enrobing equipment favored by most commercial chocolatiers. And, using artisanal ingredients from around the world, she makes only what she can sell that day, ensuring the highest quality and freshness. 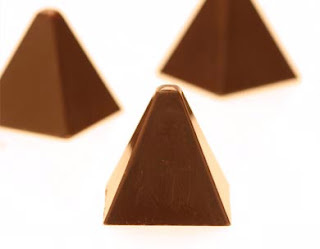 With a taste toward dark chocolate and the savory, Kee's truffle flavors include Balsamic with vinegared pecans, Smoked Salt, and Blended Pepper with four different peppercorns, and sweeter confections like whipped cream-filled Cappuccino, Honey Saffron, and a Lemon Basil-flavored dark and white chocolate truffle. Similarly innovative varieties of macaroons are also on the menu, and there are plans to offer gelato in the future. Flavors change with the availability of ingredients, and certain flavors remain seasonal, so stop by to sample current offerings. 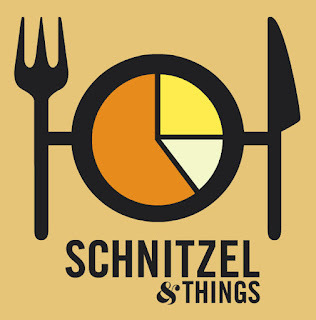 Coming soon to Midtown via Brooklyn, Schnitzel & Things is the latest food truck to hit NYC. Brought to you by Classic Culinary Arts alumni Jared Greenhouse (former chef-owner of Cobble Hill's Sorrel restaurant) and Oleg Voss (a former Vienna-based banker), the Austrian-style street meat is available in sandwich form ($7) or on a platter with choice of sides and condiments ($9). For those unfamiliar with schnitzel (fried cutlets of thinly pounded meat), the truck offers the traditional pork variety as well as cod, bratwurst, chicken, and hanger steak schnitzels, plus a variety of sides. Dave Arnold, The FCI's Director of Culinary Technology, demonstrates sabering do's and don't's, with the help of a video camera that shoots 1000 frames per second. Check out the footage below! Visit Cooking Issues for detailed instructions and other techie tidbits. Front of House Training expands your education beyond the kitchen, teaching you the essentials of front-of-house operations that will set you apart from the competition. Offered only in combination with our regular Classic Culinary Arts or Classic Pastry Arts programs, Front of House Training will give you the unique confidence and well-rounded experience employers look for. A limited number of seats are available in the August 6 class start, so don't miss out. Click here to learn more.